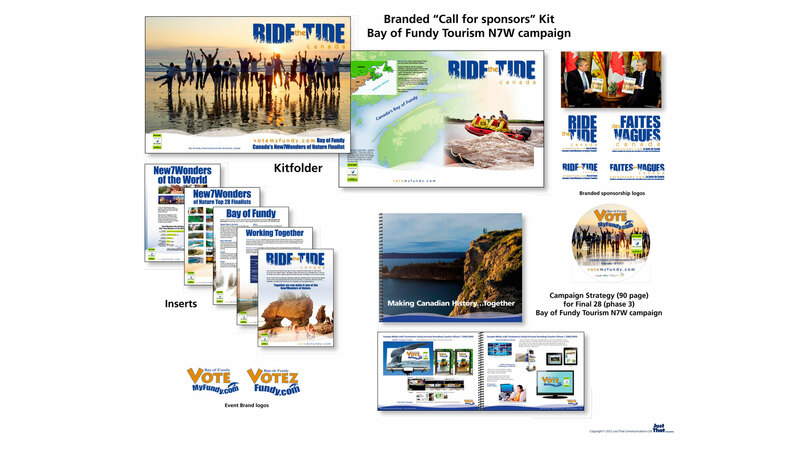 VoteMyFundy.com Marketing Initiative and execution for the Bay of Fundy in the “New7Wonders of Nature” CAMPAIGN to Top 28 (regional reach) and National Reach to the top 7 (launched November 2010). Campaign fullfillment reached on November 11, 2011 with potential to carry on indefinately as a global campaign with glogal memory. Public Relations, Communications and Press Release copy by Cindy Roberts. The Bay of Fundy Tourism, whose sole objective is to promote the awareness of the Bay of Fundy as it pertains to tourism had been approached with a unique opportunity that would offer the Bay of Fundy a chance to increase public awareness about the areas special attractions. 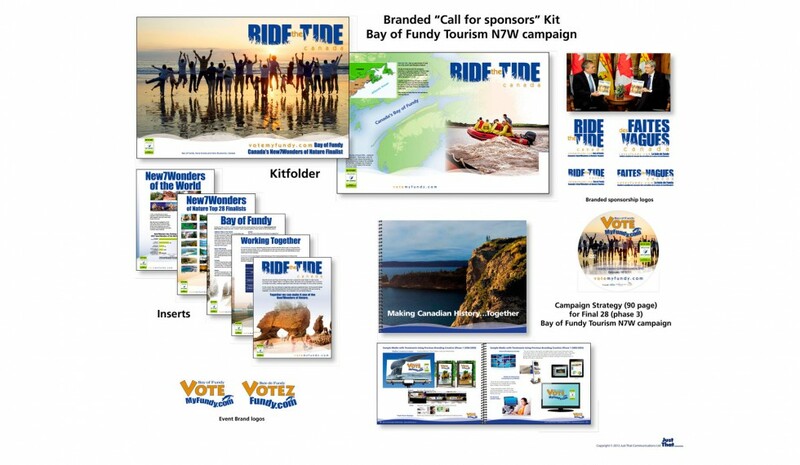 As being one of over 440 nominees of this prestigious international competition we were tasked to promote the Bay of Fundy and it’s attractions to the world. With the development of an event brand and marketing strategy we were able to present the opportunity to the media and promoted a successful call to action with results far beyond the financial realities the tourism partnership would normally be able to fund. During this time of competition a number of design and marketing pieces (including a unique URL and website) were produced to entice the media to that call to action to promote the event on the Bay of Fundy’s behalf. 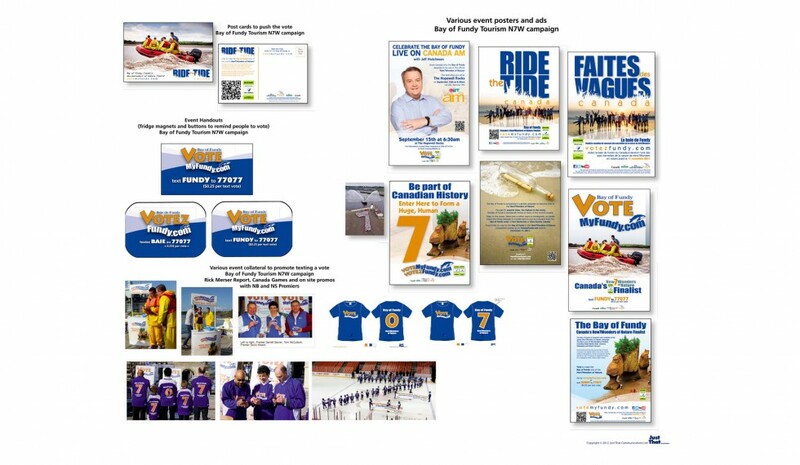 The event brand stemmed from the call to action to get maritimers to go online and vote for the Bay of Fundy. An element of urgency was needed since this vote would decide if the Bay of Fundy would proceed into the second round as Canada’s representative by a specific, and close, deadline. Not only has the Bay of Fundy passed on to the second round but garnered the prestigious position as one of the Top 28 Official Finalists in the New7Wonders of Nature Campaign. A truly successful campaign that climbed to it’s peak on November 11, 2011 when, by popular vote, chose the top 7 winners.